IS YOUR WORKPLACE/FACILITY FIRST AID READY? Our First Aid READY program will be tailored to help reduce losses and offer immediate first aid to save lives. 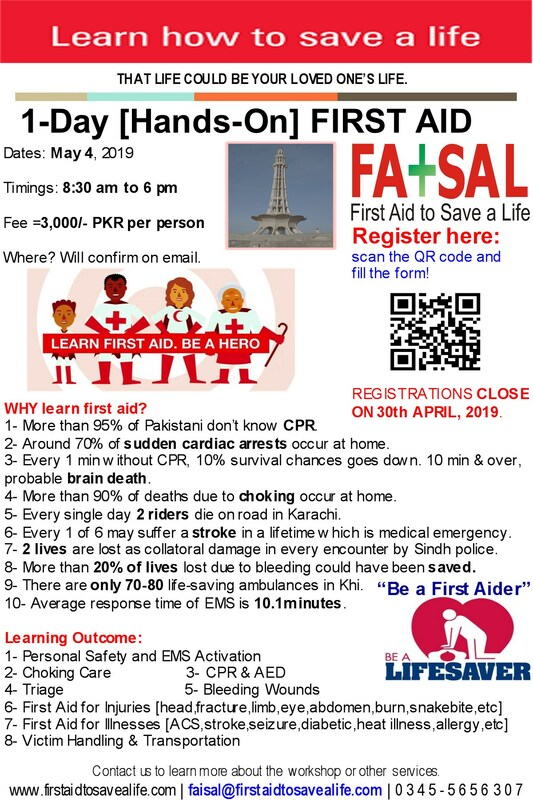 We experienced that majority of the workplaces in Pakistan are NOT First Aid READY. To help your workplace minimize their risks, we learned and evolved the service First Aid Ready program. This entry was posted in First Aid CPR and AED and tagged accident incident management plan, accident prevention plan, emergency action plan, emergency response plan, first aid preparedness, first aid ready, first aid response plan, injury prevention plan, injury prevetion, is your workplace first aid ready, proactive safety plan, READY program, Site Emergency Management Plan, workplace ready program. Bookmark the permalink.